Entertainer Bill Cosby gestures during an interview about the upcoming exhibit, "Conversations: African and African-American Artworks in Dialogue, " at the Smithsonian's National Museum of African Art. Cosby has not been criminally charged, but Netflix and NBC have scuttled projects featuring the comedian and several shows on his comedy tour have also been canceled. His attorney Martin Singer did not return an email message seeking comment Tuesday night. "This traumatic incident, at such a tender age, has caused psychological damage and mental anguish for (Huth) that has caused significant problems throughout her life," the lawsuit states. Huth's lawsuit filed in Los Angeles Superior Court is the first time a woman has gone public claiming Cosby abused her when she was underage. 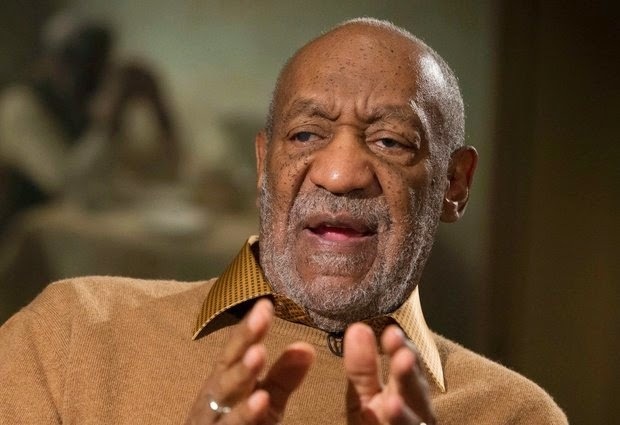 A second woman told Pittsburgh television station KDKA last month that Cosby drugged her to the point of unconsciousness in the 1980s when she was 15. The suit does not specify how much Huth is seeking from Cosby. Singer has denied previous accusations or said the women raising the claims in interviews had been discredited. Singer's statement does not apply to a lawsuit brought in 2005 by Andrea Constand, who claimed Cosby drugged and molested her at his suburban Philadelphia mansion in 2004. Constand, who worked for the women's basketball team at Temple University, and Cosby settled the case before trial.